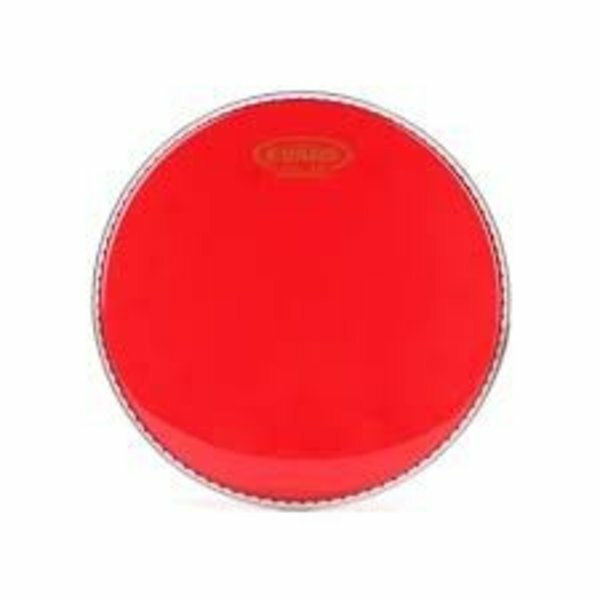 Home Evans Hydraulic Red Drum Head 18"
Evans Hydraulic Red Drum Head 18"
$21.95 This may be in stock for quick delivery; please call! Evans red Hydraulic series features a thin film of oil between two plies of thin film offering maximum durability, a fat, deep and short sound pioneered by early 70's rock and roll. Hydraulics are famously easy to tune, making them a perfect fix for troublesome drums and players with little tuning experience. Evans Level 360 technology is incorporated to extend the level playing surface of the drumhead, 360 degrees around the drum. The vertically enhanced collar design guarantees even contact with the critical bearing edge of the drum shell, resulting in: ease of tuning, extended pitch range and optimum quality of sound. Evans Level 360 technology resolves the age-old dilemma of traditional synthetic heads consistently not fitting the drum shell without using considerable force.